2013, what a year! With so many great new books and films last year, there was a lot to celebrate. We also extended our reach through partnerships with other mission driven businesses. Despite all the good news, 2013 also presented significant challenges. Nonetheless, I’m excited about everything 2014 will bring and sharing it with you. In 2013, we covered the National Book Awards for the first time and recorded Toni Morrison presenting Dr. Maya Angelou with the 2013 Literarian Award for Outstanding Service to the American Literary Community. That same evening James McBride, won a National Book Award for his novel, The Good Lord Bird. Several of AALBC.com’s longtime supporters (family really) received NAACP Image Awards including Kimberla Lawson Roby, SmileyBooks and Amber Communications Group in the Fiction, Instructional and Youth/Teens categories respectively. I’m sure the highlight for 2014 will be the National Black Writers Conference. The honorees for this year’s four-day event will be Maryse Condé, Walter Mosley, Quincy Troupe, Derek Walcott and Margaret Burroughs. We enjoyed a significant number of quality films in 2013. Steven McQueen’s moving adaption of Solomon Northup’s memoir, Twelve Years A Slave, is sure to be nominated for an Academy Award. Malcolm D. Lee’s terrific comedy, The Best Man Holiday, has already earned over $70 million at the box office—an absolute commercial success. We’ve also had a bumper crop of independent and limited release films including, what some have dubbed, the best film of 2013 The Inevitable Defeat of Mister & Pete. AALBC.com also reviewed over 100 books and sold many thousands of others. We interviewed or profiled hundreds of authors, filmmakers and actors; and published scores of articles about technology, books and related issues. With Linda A. Duggins, MosaicBooks.com and Written Magazine, we hosted our 7th Annual Black Pack Party. The celebration is an opportunity to enjoy others who fight to ensure our stories are told. In the spring of 2013, AALBC.com, with MosaicBooks, Cushcity, launched the Power List. The Power List accumulates data on books written or read by African Americans and compiles that information into a quarterly best-selling books list. In an ongoing effort to promote other independent entities we continued to expand Huria Search’s offerings. We made the bookstore database mobile ready, tracked the most popular Black owned websites, tracked the best Black book websites and identified black owned print newspapers and magazines. Huria Search is sponsored by AALBC.com and is advertisement free. AALBC.com also continues to grow and develop partnerships with other high quality, conscious businesses including, The Book Look, MahoganyBooks, The North Star News, African Voices Magazine, The Center of Black Literature, Black Art in America and others. 2013 was also fought with challenges for those promoting Black literature. There was a net loss in the number of bookstores and websites. Coverage of our books in magazines and newspapers is increasingly rare. Attendance at events focused on Black books was down as well. There are simply fewer entities showcasing Black literature, and this has been on a downward trend for the better part of a decade. Many will have you believe that there is simply very little interest in books or films for or about Black people. Of course the critical acclaim and commercial success of the books and films previously mentioned should dispel that myth. The problem is really one of discoverability. With fewer bookstores focused on African American literature, for example, there are simply fewer opportunities for our work to be found. Unfortunately, despite the hype, social media has not picked up the slack—it can’t. Social media’s goal is to utilize the data and content, we freely provide, to enrich the owners. Any service to the Black community is incidental. I have faith however that these alarming trends will be reversed, but it will not happen by itself. It will mean investing in your community by paying a bit more, perhaps, for a book in an independent bookstore. It may also mean making an extra effort to see a film on opening day. There is so much we can do if we remain conscious and work together to support the businesses that strive to serve us. You can expect to receive your first regular eNewsletter, for 2014, in about three weeks. It will be chock full of information about books, authors, events and movies you are not likely to see covered by the mainstream media. The January eNewsletter will also include our very popular annual best-selling books and best of lists. As always, I need your support. Ideally, you can pay for your eNewsletter subscription at one of three different levels. It is also very helpful to spread the word and share any AALBC.com content, you find valuable, with others. 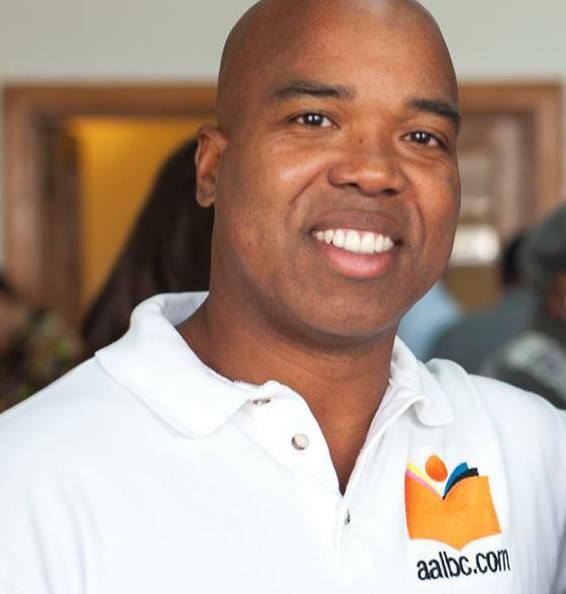 Mission driven entities, like AALBC.com, can only thrive through the support of people like you. Here is to a healthy, happy and prosperous 2014!